The Placement for 2016 batch has gained pace and many people have got the offer. I thought it was the time to jot down some key startegy and resources to ace TCS Campus Drive. IT companies like TCS, Infosys, Wipro, Accenture hire students from almost all branches. Have you ever thought what students from non CSE/IT branch do in the company. Well I would tell you, it's not difficult to learn how to code. Software Developmet involves many phases and coding is just one phase. When you start in these IT companies, you get initial training where they teach you all that you need to know depending on your domain. After training you start working in a group of 20+ people with different level of experiences. You start getting small works and then time teaches you how to get things done. So it's no big deal whether you know programming or not, you can work in IT companies. You spent 2 excruciating years in a base camp called Kota or at a closed room studying dreadful ML Khanna’s maths or HC verma’s physics aiming to crack IIT-JEE and get into the best engineering college. TCS placement process consists of two phases - Written Round (Analytical+ Verbal Ability Test ) and Personal Interview. 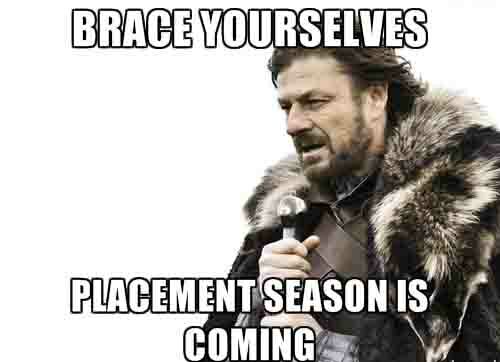 Well, placement season has started and the tech giant TCS is all set to recruit students. TCS changes its recruitment process continuously. Are you aware of Email Writing in TCS Verbal Ability Test? We have listed here all the resources needed to write a perfect email to anyone. You can take the mock test of email writing also that evaluates on several parameters e.g. Uses of phrases, salutation, grammer, spelling and word limits. Go through all the resources mentioned below and believe me you won't have any problem in writing email to anyone. E-mails are the most common document in the business world. Unfortunately, many e-mails are so poorly written that recipients must struggle to figure out why they're reading the e-mail and what they're supposed to do about it. Here's a foolproof method to write e-mails that get the job done. You know how to write an email but want some samples of TCS email then here are few samples answers of TCS Verbal Questions asked in previous campus drives. Take TCS Verbal Ability Mock Test and analyze your performance. Measure how you perform among thousands. Our TCS Verbal Ability Test Simulator gives you insights of all your mistakes and tips to improve your email. You don't have good internet connection or you are unable to be online. No problem, we have taken care of that problem. Download our Chrome App and take TCS Verbal Ability Test in offline mode. This offline app works fine except it does not check your spelling or grammatical mistakes. Now comes TCS Analytical Ability Test. In order to ace TCS Analytical Ability Test, you must practice much to grasp all the concepts. If you have gone through above links then you already know how to prepare for TCS Analytical Ability Test. Here are a few resources and tips to ace TCS Analytical Ability Test. Want to practice questions asked in previous placemnt drives. Go through following link to download prevoius years' TCS Analytical Ability Questions with Answers. You know the basics and want to test where you stand among thousands or analyze your performance, take TCS Analytical Ability Mock Test and see where you stand. Refer to m4maths.com for latest questions. So you are in final year now preparing for placement. It might be your first interview and you are worried about how all things will go in the interview. We are here with a few tips to help you answer the questions smartly and grab the so called “Offer Letter”. Your seniors might have told you their experiences and you might have ample idea about all the stuff. Still if you have any doubt answering the HR questions or what should be the proper answer. This post is for you. Also refer to a complete guide to get through TCS campus placement. If you are appearing for TCS Placement and have no clear idea on how to prepare different section viz. Verbal Ability Test, Analytical Ability Test, Interview (T.R., M.R. &amp. H.R. rounds) then this post is for you!